Considering nutrition content was not on my mind when I was younger. I heaped what looked good onto my plate. That was my job as a kid, and teen, and college student, and pregnant lady, and hard working mama, etc etc. Ah yes the careless youthful days when it didn’t matter as much. Fried rice. Every time I eat Chinese food I have to have it. I’ve loved it since I was little, but it sure isn’t the best thing to eat. What to do? Substitute the rice of course! If you haven’t tried quinoa before, you should start now. The taste and prep are virtually the same, so why not? 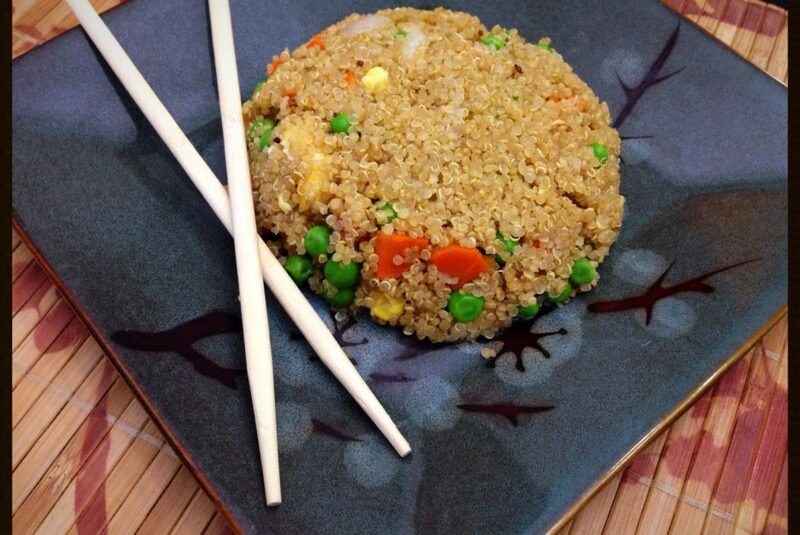 Choosing quinoa over rice will increase your fiber, protein, iron and zinc, among other important vitamins. It is as simple as that and I have a delicious recipe to make it even easier to try. Don’t let all the ingredients fool you, this recipe really is simple. 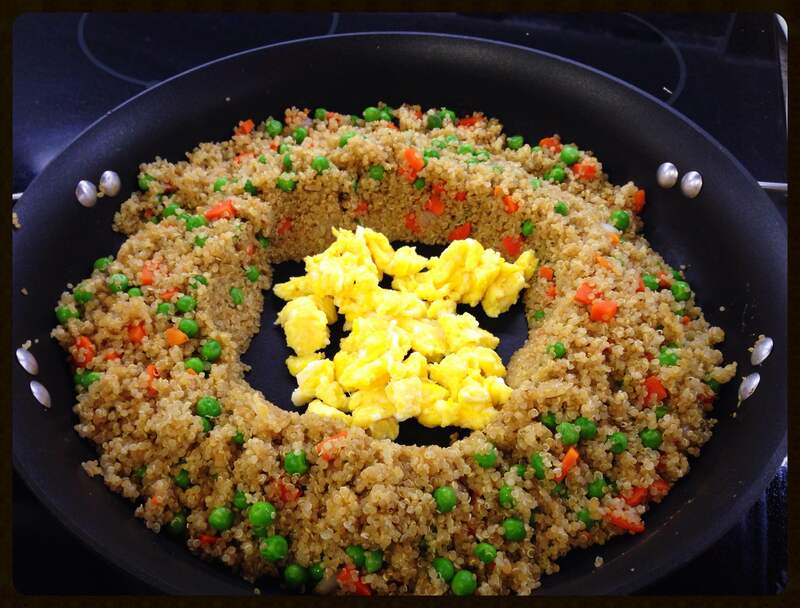 Cook quinoa according to package directions in broth or water. ** In a large skillet heat 1 tablespoon of sesame oil on medium heat. Add onion, carrot and ginger. Cook for several minutes until onion is translucent and carrots are tender. 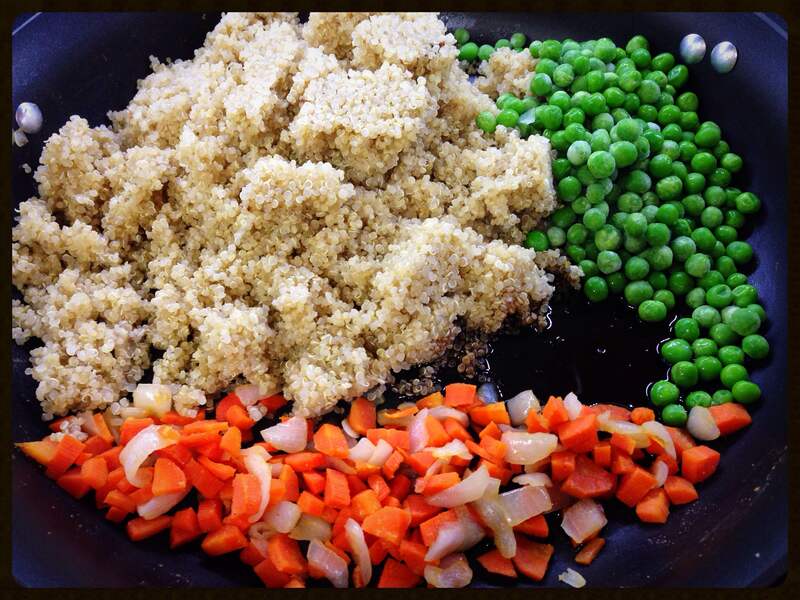 Add cooked quinoa, peas and soy sauce. Warm through and toss to combine. Make a well in the center of the skillet. Add the other tablespoon of sesame oil. Crack and whisk the eggs in a bowl or glass and add to the center of the pan to scramble. 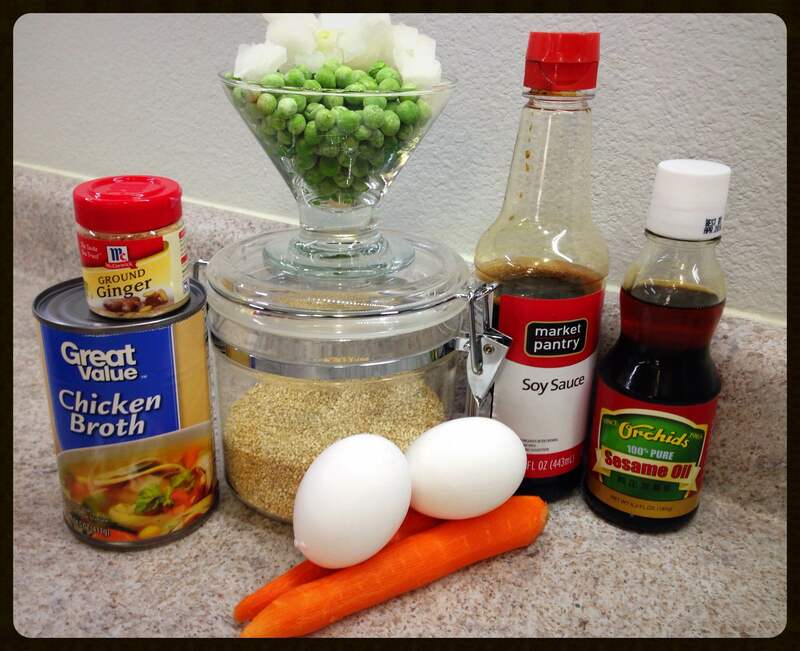 Mix the eggs into the rest of your quinoa mixture. Enjoy! There it is! We like to serve this along with a teriyaki marinated pork loin. Today I considered adding steak or chicken right to the fried quinoa to make an all in one dish, which sounds great so maybe next time. I have been meaning to post this for some time now. Please give it a try, it is little effort for a big nutritional impact over the classic fried rice and delicious to boot! What are some of your healthy food substitutions? Let us know, we would love to hear and try your ideas too! 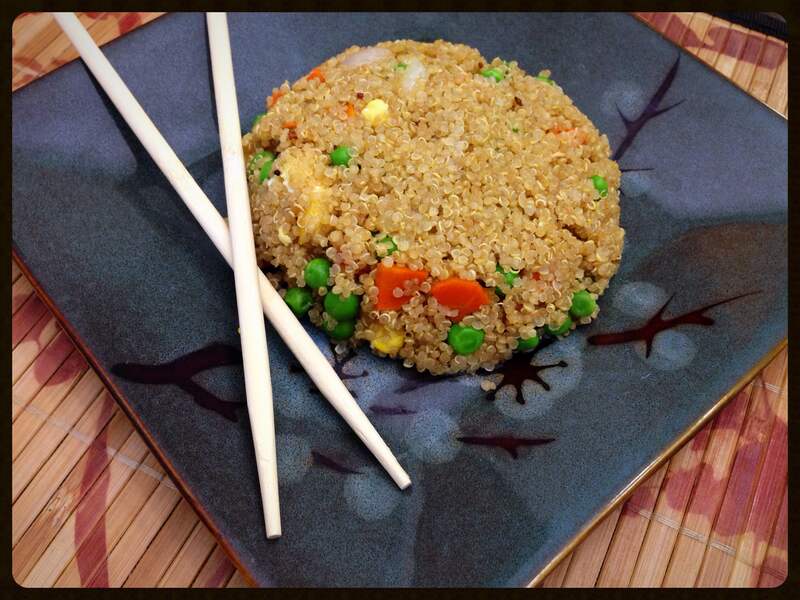 **Quinoa can also be prepared in a rice cooker. I just used the rice cooker for the first time today. What a time saver! I have been a stranger to the rice cooker my whole life. I scoffed at the idea of another kitchen appliance in my tiny space. Now though, I am a rice cooker lover! These handy little machines are a cousin to the crockpot, and we all know how I love my crockpot. In case you need to remind yourself, see my other post Super Simple Crockpot Recipes. Gotta love it, thanks to my mother in law for this new kitchen tool making our lives easier! I’m so glad you like the Rice Cooker! Anything to make life easier! !